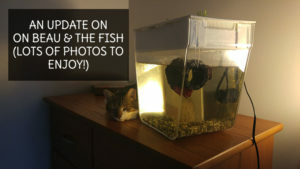 I thought I’d give you a small update on our Aquafarm which has been Flub’s house for the past week or so! So, Flub is still alive!! This is extremely exciting to me as I haven’t had fish before Blub. 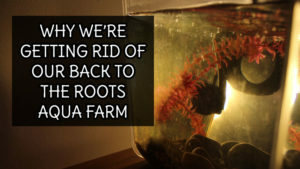 Flub seems to be taking to the Aquafarm, but some things about it leave me concerned. For example: The water is still orangey-brown. It has gotten a lot lighter over the days, but as you can see in the photo it’s not as clear as it could be. Thing is, I used the conditioner they provided (Vitamin C) and it doesn’t seem to have diluted fully. I’ve been obsessing over it and have been watching all of the videos I can to see if other people have had this happen. Everyone else seems to have pretty clear water. Maybe as I change the water it will become clearer. There is also a lot of debris that is collecting in the reservoir. I’ve been taking my to clean it, however… is this debris the food for my plants? There’s nothing that actually explains how this works fully… so I’m basically trying to do all of the research I can. The last issue I’m finding is that seeds keep getting knocked out of place and fell into the actual tank because of the regular water flow. There are about 3 seeds currently in Flubs tank that have sprouted under water. These aren’t even the first ones that fall in. I’ve cleaned his tank about twice now. I’m trying to find a way to avoid it and I will update if I find a solution. 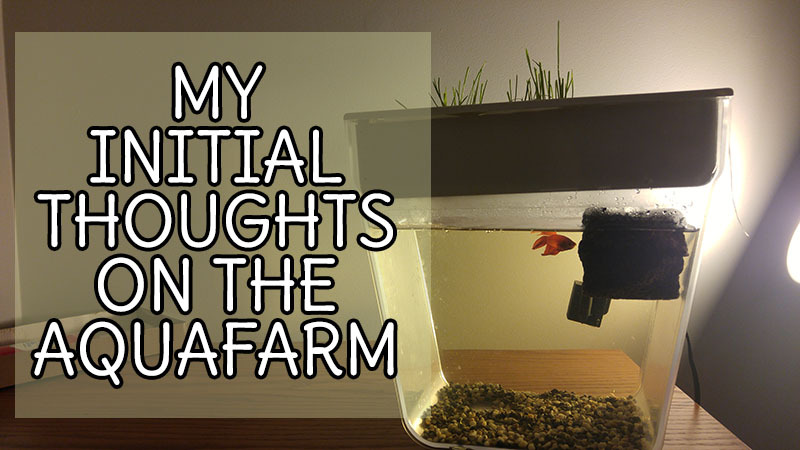 The positives about this tank: Beau has been jumping up to it every so often to take a bite of the Oat Grass or to watch Flub do his thing! 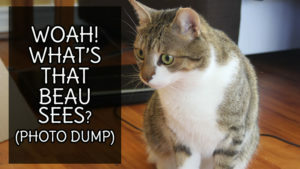 Beau hasn’t acted aggressively to Flub and does not paw at the tank. 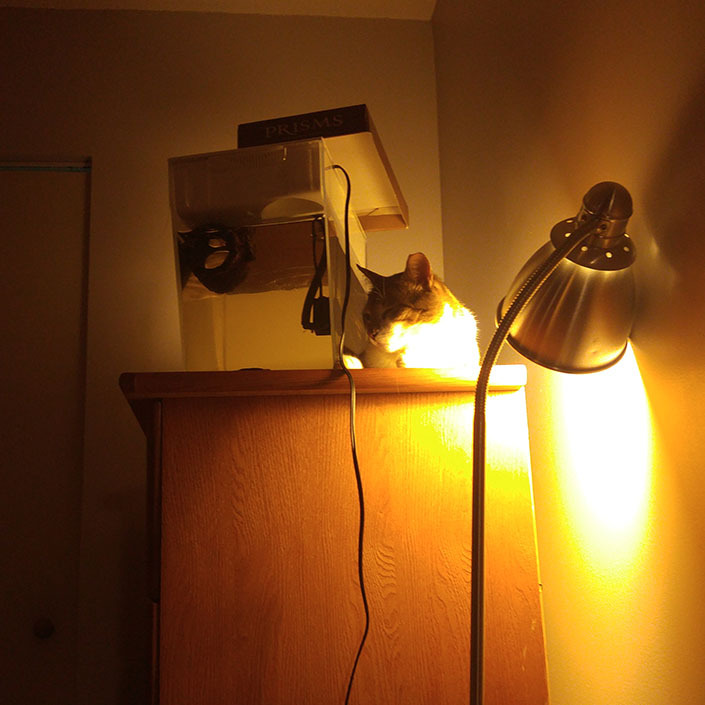 He actually sits there quietly and sometimes even sleeps next to it. I actually got scared the other day because I didn’t wake up to Beau nuzzling beside me. The only other time Beau hasn’t woken up with me is when he had a UTI. But guess where the Bugger was? Right by Flub! Beau has become a lot more active. He makes sure to visit Blub & Flub as much as he can at night (especially because the door to our bedroom is usually closed during the day or he might eat our bed sheets. Yikes!) He gets along with them really well and I’m glad that he has found a new safe space to sleep and be entertained! Going back to the tank though! 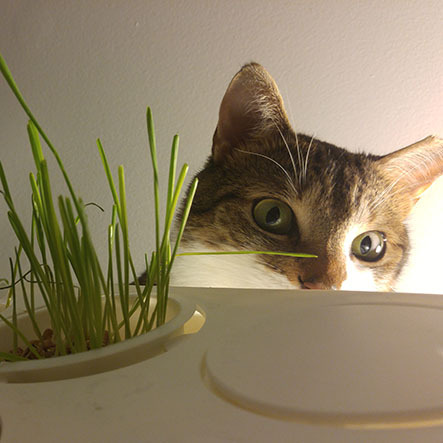 The plants are pretty rooted and when Beau eats from them they don’t uproot (which we had problems with when we grew Oat Grass for him in the past.) There’s also not a lot of it so he can’t over eat and throw up. This is super exciting for me because Beau doesn’t know his limits when it comes to grass. He’ll eat until he throws up twice! But in conclusion: Week 1 with the tank has been pretty good. Still concerned about things, but I’ll keep you updated! 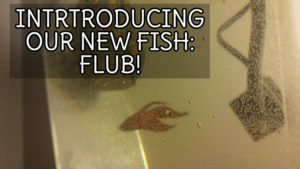 Introducing our new fish: Flub!